At the City Council meeting, our Administrative Assistant Mary Elliott was recognized for 20 years of service to the City of Oregon. 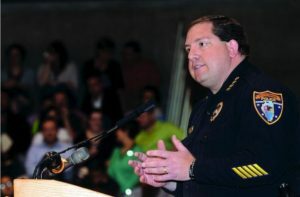 Mayor Ken Williams presented her with a plaque and while echoing Chief Darin DeHaan’s sentiments he had the following to say. 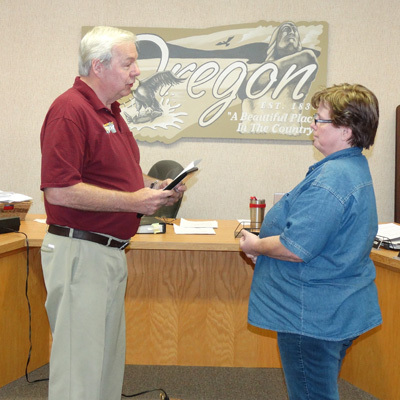 “It is with great pleasure and pride that we recognized Mary Elliott for her 20 years of service as the Administrative Assistant for the Oregon Police department. The title of Administrative Assistant does not accurately describe her actual contributions to the police department. Mary works diligently to review all the police reports that are generated each day, she organizes and manages all the records for the police department. Mary works closely with the Ogle County State’s Attorney to manage criminal case statuses. Mary handles citizens, offenders and victims who come to the police department for various reasons. Though some days can be frustrating she continues to provide professional service to everyone. Mary has enthusiastically taken on additional responsibilities over the years at the Chief’s request. Some of those include the IDROP program, the video management system, as well as UCR reporting and other services. Mary has handled each of these new responsibilities with professionalism. 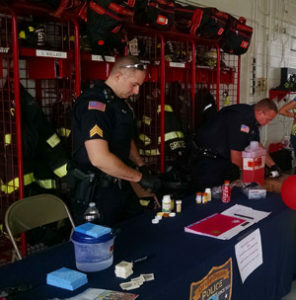 Mary continues to be an effective contributor to the department’s success. The list of Mary’s contributions to the Oregon Police Department are too lengthy to describe. November 2016 Oregon Officers participated in No Shave November. We were able to raise $2257.00 for the American Cancer Society. In 2016 we added our first Bike Patrol officer in several years. 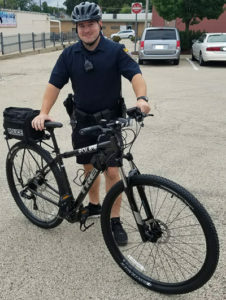 Officer Tad Dominski completed the training and hit the streets on our new Trek Police Bike. On 03/03/14 Oregon Police Chief Darin DeHaan accepted a certificate from ILEAS region 2 director Jerry Whitmore recognizing the Oregon Police Department for their emergency preparedness. OPD was one of two agency in Region 2 to receive this recognition. 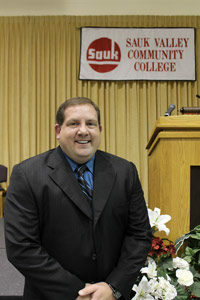 Chief Darin DeHaan was recognized by Sauk Valley Community College as their 2013 Outstanding Alumnus. Chief DeHaan accepted a plaque during the 2013 Commencement ceremony. Chief DeHaan delivers the 2014 Commencement Address to graduates at Sauk Valley Community College. Chief DeHaan spoke about always keep moving forward. Taking the next step in your career and develop a personal commitment to better your communities through volunteerism. 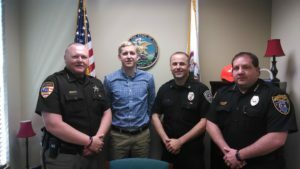 Chief DeHaan along with Dixon Chief Dan Langloss and Lee Co Sheriff John Varga met with Rep Tom Demmer about the importance of early education programs and their impact on crime. 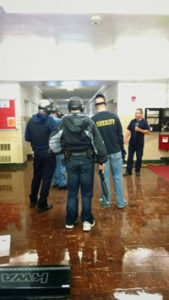 All three are members of the Fight Crime Invest in Kids organization.